Powerful article. True! In order to create a sustainable future, we must explore our full human potential. 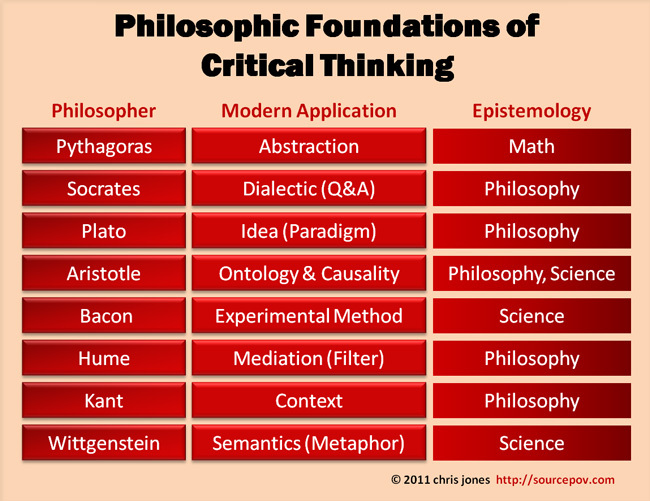 Thank you for the insightful post and framing the conversation about critical thinking in the place I think it belongs: squarely in the middle of Philosophy. I wanted to get another thread of philosophy in the mix. Also starting from the Greeks but that path goes to Complexity as opposed to the Analytic approach. I’ve added some highlights and links. Heraclitus http://ilnk.me/88e3 (wikipedia) – known for saying, “You cannot step twice into the same stream”, he brought focus to the unity of opposites, and was also quoted as saying “the path up and down are one and the same”. In short, things can be described by pairs of contrary properties. Important in discussion of dualism. Hope folks find these helpful. Agree w/ you & Heraclitus. It’s about finding the ideal balance point. As part of my research on this I learned that virtue, aka the primary pursuit of ethics, is actually the optimal midpoint between excess (too much of a characteristic) and deficiency (too little). Seems we tend to think in polar extremes, not the spectrum of possibilities in between. The ‘ideal amount’ of any virtue is, I think to Jenn’s point (below), personal .. though culture does set some expectations for us (but that’s another series!). When solving problems, it’s something to think about. I agree that ethics is the crux of the issue. One way that is framed is freedom of choice within agreed upon constraints. It’s a point that is often under appreciated in excitement about the New. The paradox is that it is ethics – tacitly agreed upon rules of engagement – that allow for spontaneous authenticity. Consider the ethics – tacit rules of engagement – in a family. It is assumed and proven through action, that caring and love inform the family culture. Within that we can be authentically spontaneous. Then consider the tacit ethics that exist between the partners that are raising the children. A word or even a look can communicate rich complex understandings. It goes to the problem of communication in every complex adaptive system. Tacit commonly understood rules of engagement – ethics – take the friction out of communication exchanges. My thought is the next question is precisely how, where, when, how and what kind of ethics emerge in what development stages of a particular complex adaptive system. Exactly right! You’ve hit several nails on the head with your comments. So, yes, trying to reduce ethical/cultural friction when solving problems (aka collaborating, which I believe maps directly onto your functional CAS example) can only accelerate interactions. In a family, or in a work group .. really, anyplace where people come together to solve problems. Might be better to frame this as stakeholder affinity. In complexity terms? We increase our chance for the emergence of useful outcomes. In business terms? We become better, more productive innovators. That doesn’t mean we devalue diversity of opinion. Quite the contrary. There is a balancing act here too. We can’t seek to reduce ethical/cultural friction by building teams with a homogeneous perspective..
A balance of diversity with stakeholder affinity will be a key branch in this conversation. Thanks for bringing focus to it. It takes time and effort to curate a document so thorough and informative. You took my four year degree in Philosophy and put it into basically 140 characters. Synthesis – what a beautiful gift. First, I am so thankful you included Kant so gracefully. He was in my opinion the most important philosopher as he introduced the concept of subjectivity and the idea that individuals have individual experiences. This is still something we are learning to honor and appreciate and I don’t think many people understand how transformative, radical Kant was. He was so influential that when we designed the cover of Strategy Leadership and the Soul I insisted there was a lighthouse-with lights shining out–which is the way I learned about how our mind works from the inside-out. Not outside-in. And I got that image as an 19 year old in a survey philosophy class. I was agnostic for most of my youth but when I read Kant’s Critique of Moral Reason I found the passage “we have an imperfect, but positive duty to seek our own perfection and the happiness of others.” That to this day–has been my True North. OK, I am gaga over Kant. That is clear. I will leave out the Existentials as that is a separate post, a separate conversation. I will however, mention Integral Philosophy and the clear distinctions that Ken Wilber may quite loud: The Good / The True / The Beautiful — they are separate and have never been integrated. Kant wrote three books-one on reason, one of morals and one on beauty — I think it interesting as we wrestle with those three today as we want things that are beautiful to be good and things that good to be true. But as we know intelligence doesn’t always equal morality–in fact one of the saddest things is the lack of moral courage with people who are so intelligent. It is easy to forgive ignorance or innocence. It is tragic to experience irresponsible intelligence. Thank you for being a catalyst for some deep held values that finally found a space to breathe. Misty, Michael & Jenn – thanks so much for your responses. The more I delve into this space, to more I realize how truly important this foundation is. Michael, Jenn – we’ve got Heraclitus & Schiller on radar now, thanks. Jenn – was literally touched by your response, and I found it perhaps not that ironic that both of us find a strong connection with Kant, probably the philosopher in the mix that resonates most for me. Clearly Kant brought many diverse forces together, including a rational view of ethics, and I believe (correct me?) brought science and aesthetics forward in powerful ways. I guess the romantic wave of the era had a powerful pull – though its not clear if Kant was a founder of that, or one sympathetic to it. To me, only Aristotle had the greater long term impact. Socrates, of course, playing a key role, if not the original catalyst for critical thought, as we think of it today. The other voice worth noting here, to me, is Thomas Reid, of the ‘common sense’ Scottish school. Anyone who advocates common sense gets my vote, and did (see the poll at right). Truly appreciate the depth of conversation and insights. An often under appreciated fact of the value of Philosophy in this day and age is that it points to deep patterns of human life. The central questions have always been What is Truth, Beauty and the Meaning of Life. 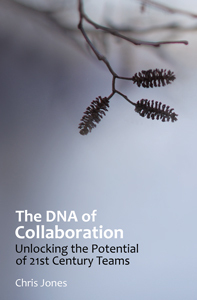 in the last twenty years or so the notion of Complex Adaptive Systems has become mainstream. Every discipline now tends to frame their focus of study in similar ways. Now with the emergence of ‘Big Data” the patterns of communication are now becoming visible in organizations and “Real Life.” The most disruptive areas are education, health and government. The neat part is that if a family is seen as a Complex Adaptive System every thing we need to know in general is something we can learn in that context and take those same insights to apply in almost any context. Even more exciting is to see that our individual consciousness can also be seen as a Complex Adaptive System. I think it’s fair to say that for the first time in Human History, we can now literally look into ourselves to articulate the dynamics of the world at large. It has only very recently emerged as a defined framework. From what I’ve read so far, it is the most recent appearance of the thread that goes from Kant into today. Might help to see what I think I see. Great to be included in this very personal conversation. It is personal because our future rides on all of us to make wiser decisions moment to moment. And, a large part of wise decision making requires an understanding short & long term trade offs and this requires critical thinking. To my knowledge Kant had a great deal to do with the conversation regarding “ethics” and with his categorical imperative calls on each of us to live in accordance to that idea that the way we live become a rule for everybody. Take you personal ethic and turn it into a world view– is the way I interpret his teaching. He did believe at our core we were ethical creatures and would do the right thing–out of obligation for being in the collective. So whether it was enjoyable or not, easy or not, had nothing to do with it–it was a moral imperative to do right. Fortunately we have “free will.” Unfortunately some people do not use that free will in a sustainable way. Consciousness & conscientiousness are two different animals. Kant had very little to do with aesthetics in “truth = beauty” convo. Schiller was a student of Kant and that is where he departed. He felt the “duty” thing did not leave room for elegance and the concept of grace. So Schiller truly takes Kant to the next level to appeal more to our senses than our sensibility. These, of course, are my interpretations. Cheers to progress. . . . Yes, powerful, and very personal. But not to constrain benefits to us as individuals. As with anything in the public/social domain, many can learn as each one of us learns. Back to Kant, I was afraid I might have been on thin ice with a ‘beauty’ reference .. I was probably thinking about Kant’s 3rd Treatise (“Critique of Judgment”) assuming his aesthetics references were on beauty when, on reflection, he was talking about universals framed more broadly .. correct? These, to me, are rich concepts to inform our approach to problem solving. Per my original framing above, one of Kant’s primary contributions to Critical Thinking is how we establish context in our efforts to solve problems. After all, isn’t that what the search for knowledge is all about .. solving problems? Hope that helps. Please, challenge us on this. Much more to come. Find his name on my old project page and click on the !?! … you’ll find one of my favorite quotes from him. Great post! I feel that Descartes – in many ways the father of Modern Philosophy – is missing. Disagree with him if you may, as many do, but he was the first philosopher in the Modern era to take up the Aristotelian method and apply it with gusto. Absolutely agree, Ed. While I qualified the above post from May that I was leaving out many great thinkers, I think the omission of Descartes from this list is significant. Perhaps I restored the error by placing him atop the “rational philosophy” branch of thinkers in my November post on “Divergence”. If I republish the chart above, I will be sure to include Rene Descartes. Great catch – thanks much for the post.